PARTNER NEWS: Digital security giant Gemalto is supplying Russian mobile network operators MegaFon and VimpelCom with UpTeq Multi-Tenant NFC SIMs that allow the carriers’ subscribers to board metro trains, trams and buses across Moscow using their NFC phones and the Troika transport card mobile app. “The cards can also support functions such as mobile NFC payments and provide a ready-made platform for the introduction of additional contactless services,” Gemalto adds. The mobile ticketing service went live in September 2015. 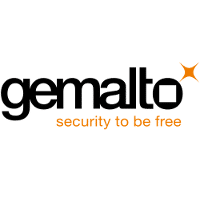 AMSTERDAM, Jan 21, 2016 – (ACN Newswire) – Gemalto (Euronext NL0000400653 GTO), the world leader in digital security, is supplying MegaFon and VimpelCom, the leading Russian mobile network operators with a combined base of 180 millions of subscribers, with UpTeq Multi-Tenant NFC SIMs*. These cards enable subscribers to enjoy the benefits of Moscow’s new mobile ticketing program and can be used with NFC smartphones. With the ‘Troika’ transport card app downloaded it allows travelers to board metro trains, trams and buses across the Russian capital with simply a tap of the handset on a contactless reader. MegaFon and VimpelCom are supplying UpTeq Multi-Tenant NFC SIM to their subscribers free of charge. Tickets can be purchased directly via the Troika app, with payment debited automatically from the user’s regular phone bill. Travelers no longer need to queue up to buy a printed ticket. Moscow’s mobile ticketing scheme was launched in September 2015 and this swift and seamless cash-free ticketing method is expected to have high uptake among the 7 million daily passengers over the next few years. Gemalto’s UpTeq Multi-Tenant SIM is the proven solution chosen by 12 out of 13 countries that offer mobile NFC ticketing services to their commuters. The cards can also support functions such as mobile NFC payments and provide a ready-made platform for the introduction of additional contactless services. MegaLabs is a wholly owned subsidiary of OJSC “MegaFon” and their center of innovative design and prompt launch of value-added services.